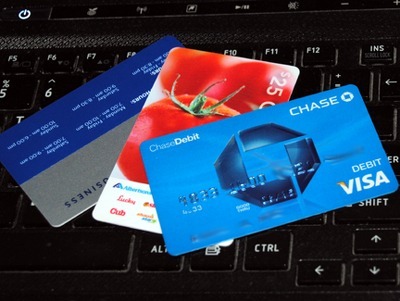 Just How Much of a Ripoff Are Merchant Accounts? 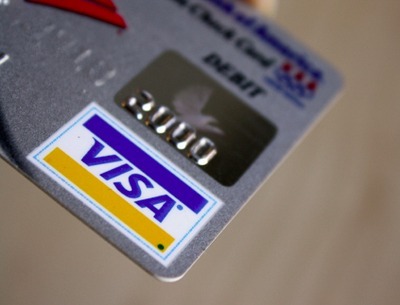 If your business doesn’t accept credit cards, you could be making a huge, costly mistake. More and more people want to pay using plastic, and you could be losing a lot of business if you can’t accept credit cards. So how do you start accepting credit cards? What’s the first step? If you ask the internet (or a banker) this question, you’ll likely be told that you need a merchant account to take credit card payments. But finding information on merchant accounts can be a bit more difficult. That’s why we’ve gone out to do the research for you. Read on to find out all about merchant accounts, how much they cost, and why you don’t need one. In short, the point of a merchant account is to be able to take credit card payments. By opening an account with a credit-acquiring bank, the merchant account enables you, the business owner, to verify credit card details and accept payments. Personal and business bank accounts aren’t equipped to do this, which is why your mates can’t pay you with a credit card when they owe you petrol money (though that’s changing). The fact that the merchant account allows you to take these payments is why they cost money. You usually pay a monthly tariff, a percentage of each payment, and various fees for other things, including renting a credit card terminal that allows you to take payments. You can’t open a merchant account with just any bank—it needs to be a credit-acquiring bank, like Elavon, Valitor, RBS Streamline, Barclay’s Merchant Services, CardSave, or Lloyd’s Cardnet. Is a merchant account the same as a business bank account? No—a business bank account is just a current account for your business; it lets you deposit and withdraw money, write and accept checks, and get a business debit card. In contrast, a merchant account isn’t for storing money; it’s just for accepting payments (which are then deposited into your business bank account). Business bank accounts can be expensive on their own—for example, an account from Santander will cost between £7.50 and £20 per month, and a business account from Lloyd’s can cost up to £40 monthly! In addition to the monthly tariffs, you’ll also pay a number of fees, depending on which bank you use. These range from fees for paperwork (£10 for a copy of your statement at Santander) to fees for debit card transactions (40p at Lloyd’s) and even to fees for depositing cash (0.6%–1% at HSBC). These tariffs and fees can add up over months and years, especially if you’re doing multiple sorts of transactions on a daily basis. How much does a merchant account cost? Figuring out the cost of a merchant account is notoriously difficult. Many of the providers of merchant accounts make it very difficult to find out how much you’ll pay for their accounts without actually getting in touch with the company. After doing some digging, however, it’s clear that you could be paying a lot of money. There are setup fees that range from £50 to £500, just to get your account up and running. There are monthly charges from £15 to £50, and annual fees of up to £200. Not only that, but you’ll also be charged a terminal rental fee, which you can assume will probably be around £20 per month. So, assuming a £100 setup fee (which is quite low), £20 in monthly fees, and £20 for a terminal, you’re looking at almost £600 in the first year! Many merchant accounts also require that you sign a contract, stating that you’ll stay with that bank for the next 12 or 18 months—this often comes with a guarantee of a lower transaction rate for the period. And if you cancel during that contract, you could be paying over £100 in cancellation fees. And don’t forget transaction fees; these are on top of the setup, monthly, and rental fees, and come directly from customer payments. Remember that all of this is in addition to your business bank account. Will a merchant account help my business? Insofar as it allows you to take credit cards, yes. When it comes to actually running your business efficiently, no. Merchant accounts just let you take credit cards—they won’t help you with quotes, invoicing, receipts, expense tracking, or the other things you need to do to keep your business running. That’s all still up to you (though keep reading to find out how SmartTrade can help you with this). Is it easy to get a merchant account? Getting a merchant account isn’t quite as simple as getting a personal or business bank account. According to ukbusinessforums.co.uk, you’ll need a registered company, a business bank account, a business plan, a written business summary, management accounts, profit and loss projections, a website (if you’re going to do business via one), terms and conditions, picture identification, and paperwork from any contractors. That’s a lot of paperwork! Especially if you’re just getting started. And if you can’t produce everything satisfactorily, your application will be rejected, and you’ll have to start over. And if you’re an immigrant to the UK, getting a merchant account can be even more difficult. Providers of merchant accounts can be overly cautious when they’re processing applications, and even legally documented, trustworthy immigrants who have reputable businesses can have difficulty getting approved. Now that you’ve seen how expensive it can be to get a merchant account, you might be wondering if you need one. The short answer is no, you don’t need a merchant account. While merchant accounts used to be a necessity for any business that wanted to take credit card payments, SmartTrade is making it easy to accept credit and debit card payments without a merchant account. 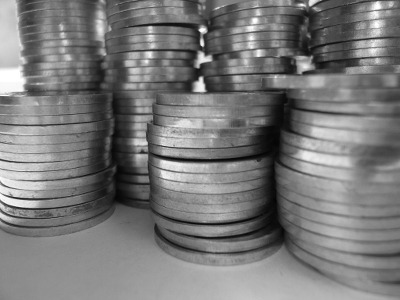 Want to run a business without being gouged by acquiring banks? You can use SmartTrade to take card payments that will be deposited directly into your bank account. No need to go through the long application process, pay the exorbitant fees, or rent a terminal. Sound too good to be true? It’s not—it’s just a great new mobile payment app for the iPhone. SmartTrade provides everything you need, and nothing you don’t. You get the ability to take credit and debit card payments while you’re on the go without renting a terminal. Just zap your customer’s card with your iPhone, and the payment will start processing. And where a merchant account just lets you take payments, SmartTrade lets you do a lot more—you can send quotes, manage bookings, create customised receipts and invoices, and even download all of your transactions to easily upload into your accountancy software. And don’t forget that there’s no extra hardware that you’ll need for SmartTrade—you don’t need to pay a terminal rental fee or pay up front for an iPhone credit card reader like you do with other mobile payment providers. That’s cash in your pocket from the start. How much would you pay for a service like this? Sounds like it would be a pretty good deal to get all of these useful features for the price of a merchant account . . . but SmartTrade is FREE. You can download the appand start taking payments in just a few minutes. And all of the useful features of our online dashboard cost just £19 per month, which is less than the cost of most mobile credit card readers that you get from merchant account providers. Stop losing customers because you don’t accept credit cards. And stop giving all of your money to your merchant account provider! What do you have to lose? Download SmartTrade for free and give it a try! Image credits: StormKatt, Chris Isherwood, and MoneyBlogNews via Flickr. Want to stay in touch with Dann? Follow him on Twitter or circle him on Google+!